Our floors are one of the most important factors in any establishment that we own or walk into because they are the foundation for any building. For Industrial floors especially, foot traffic and machinery cause wear and tear and unless our floors are protected, we will be paying a lot of money on a regular basis to replace them. Our floors are so much more important than we give them credit for in our daily lives. Below you’ll find information to help guide you in the right direction for your floors, but if you need more assistant, or would just want to ask a few more questions, give us a call today. 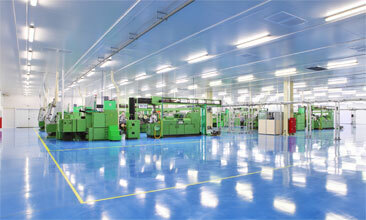 THERE ARE A LOT OF BENEFITS TO CHOOSING AN INDUSTRIAL EPOXY FLOORING SYSTEM. Whether you’re thinking about installing a brand-new floor or fixing the one already there, let us know, and let us help. With years of experience in the Grand Rapids area, we are professional, quick, and affordable. The materials we use will give you a strong, resilient, and dependable floor for years to come. When your industrial flooring system has an epoxy coating as a top coat, your floors become resistant to abrasions and last much longer than any other flooring system around. When professionally installed, industrial epoxy flooring lasts over 10 years. 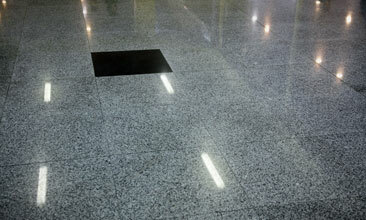 Epoxy flooring also prevents any chemical penetration beyond the top surface protecting the concrete beneath. Industrial epoxy coatings protect your concrete from even the most potent of chemical spills which give you plenty of time to clean up anything that was to happen. These floors are perfect for warehouses or plants that handle a lot of damaging substances and need resistant flooring. 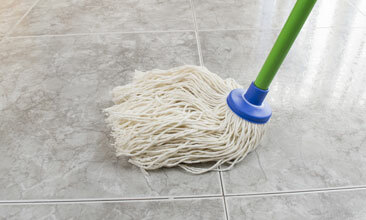 Industrial epoxy flooring is easily cleaned and easily maintained because all of the pollutants and debris, that would be otherwise absorbed by other floors, is kept on the surface, making it easier for you to sweep up any messes on a daily basis. Deep cleaning is not necessarily more than on special occasions and even then must be taken seriously and done lightly to preserve the epoxy coating’s natural beauty. These flooring systems are truly incredible. There are so many benefits at such a low cost and we want to help guide you in the best direction possible for YOUR floors. Give us a call today! Epoxy flooring systems are safe, especially for an area that is used constantly, because they are able to be installed with unique features, such as: resistant to slippage, temperature regulation, fire resistant, and impact resistant, keeping everyone in the area out of harm’s way. When you have an industrial epoxy flooring system installed, you have the opportunity to choose from many different colors, styles, and textures. 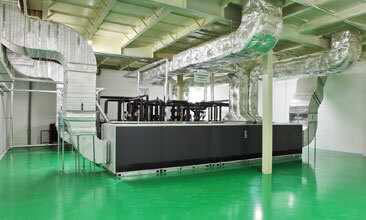 Once you have your uniquely designed flooring, you will notice the glossy finish that epoxy coatings have. This glossy finish lightens up any room or facility because of the floors ability to reflect light in a distinctly beautiful way. Choosing an industrial epoxy floor allows you to help our planet. How so? 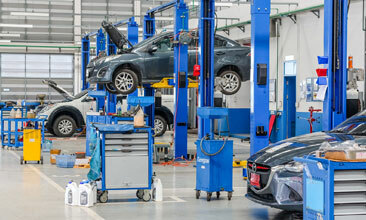 For starters, the floors are evenly smooth, making them much more forgiving floors on vehicles and machinery; meaning, you have less stress on your machines, which lets them last longer. Lastly, your epoxy floors use fewer materials to be installed and that means less waste at the end of any installation. EXPERIENCED AND AT THE LOWEST PRICE AROUND. Are you located in the Grand Rapids Area? If so, give us a call today because we want to help you on your journey. Our business has been working in the Grand Rapids area for many years and we understand what it takes to make your floors last. With experience in the area, we know the weather, temperature, and climate that your floors will be exposed to; meaning, we know how to help prevent any unnecessary damage that could arise. With high-end materials and professionalism at bargain prices, you can’t go wrong. If you have any questions or concerns, we can help with those too. 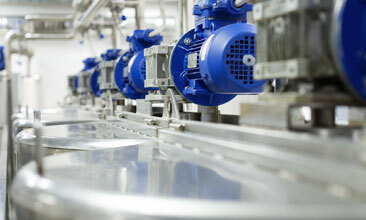 Let us help guide you to your new industrial epoxy floors.